Hey – you know what? Sometimes we like to get a little wild over here and give stuff away. It doesn’t happen too often – but when it does – it’s fun. 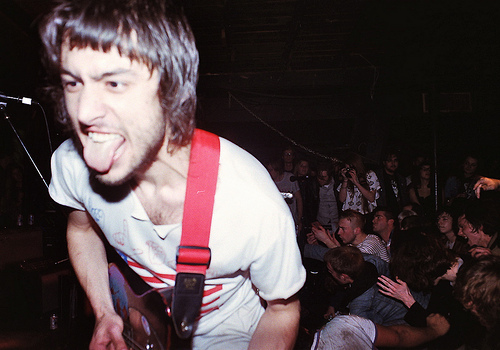 Our favorite Leader of The Freak World – PUJOL – is playing this Saturday March 3rd at War Memorial Auditorium in support of Purling Hiss and Dr. Dog. It’s gonna be a pretty gnarly show. We have it on good authority that the show is selling pretty quickly and there’s no reason to think it won’t be sold out in the near future. Lucky for you — we’ve got your hook up right here. All you gotta do is email into nashvillesdead[at]gmail.com and tell us what your brain is made of. Daniel Pujol’s is sometimes a pinecone and sometimes a SIM card and sometimes something altogether different and beautiful. If you don’t win in on this one – you can catch PUJOL on Thursday March 8th at Exit/In – gettin’ fReAkY with The Greenhornes, Ranch Ghost, Denney & The Jets, and Dirty Dreams for THE FREAKIN’ WEEKEND III.